Where the action is! 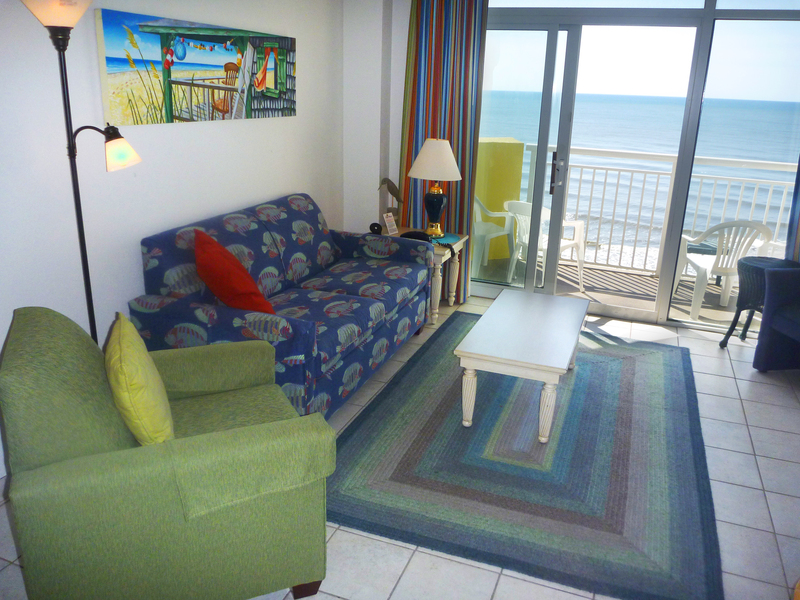 This Baywatch Tower 3, 1 Bedroom 1 Bath condo overlooks the Ocean, Pools and Lazy Rivers plus the Outdoor Beach Bar at Baywatch Resort. When the band is playing, you’ll hear the live music wafting up to this spacious 7th Floor unit. Recently redecorated and updated, this unit sleeps from 1 to 6 people because of the convertible sofa (double bed) and Murphy bed that pulls down from the wall (also a double bed). We call it Dolphin Watch, because from this vantage point you can see schools of porpoises in the surf! Great people watching on the pool deck, below, too! There is lots of family fun at Baywatch Resort. 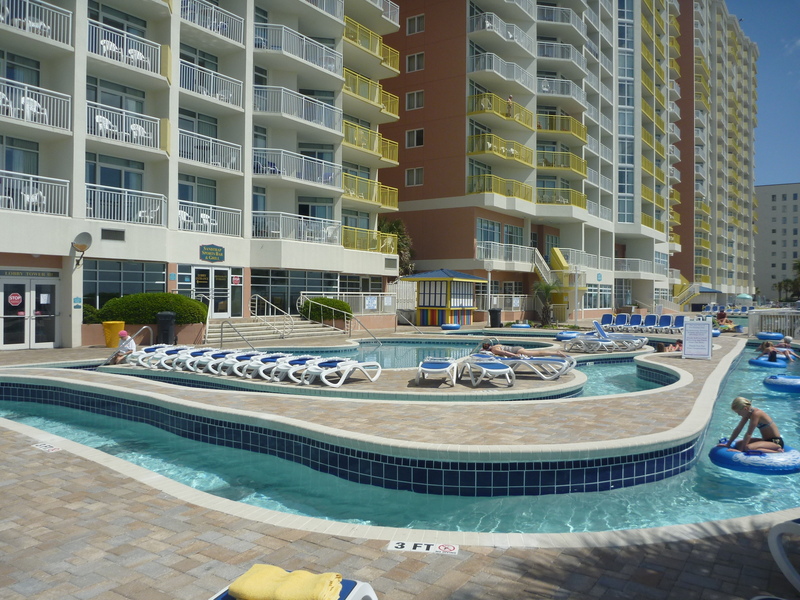 Plenty of water action, ocean beach, hot tubs, lazy rivers, waterfall baby pool, swimming pools. Baywatch also offers indoor pools and lazy rivers for year round enjoyment. 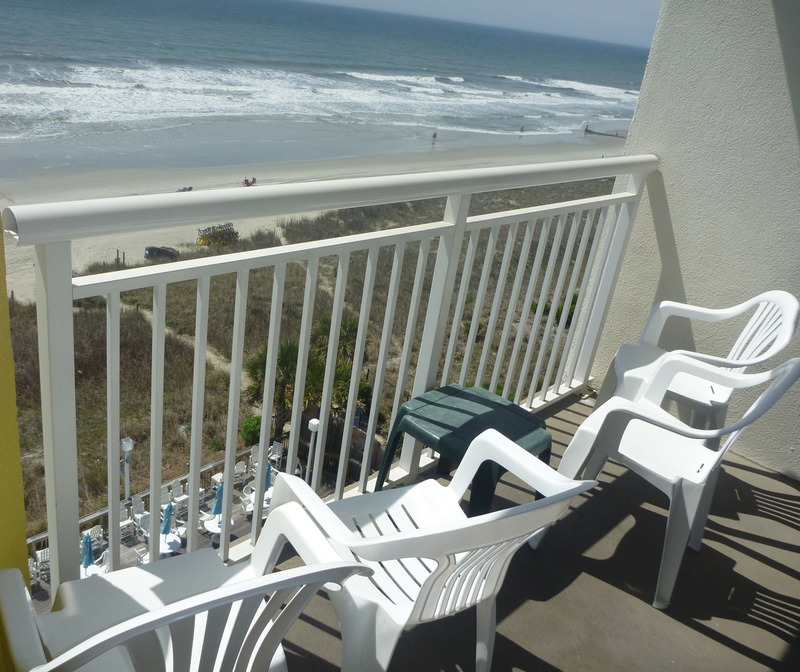 Bay Watch Resort is located in North Myrtle Beach, and is not far from Barefoot Landing and many stores and restaurants. Basic Linens and Departure Cleaning included. 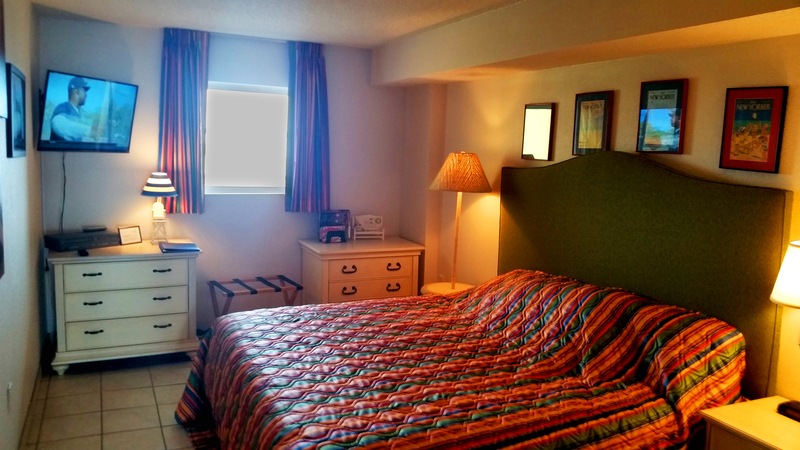 Bedroom has King Bed & TV, reading lamps, alarm clock. 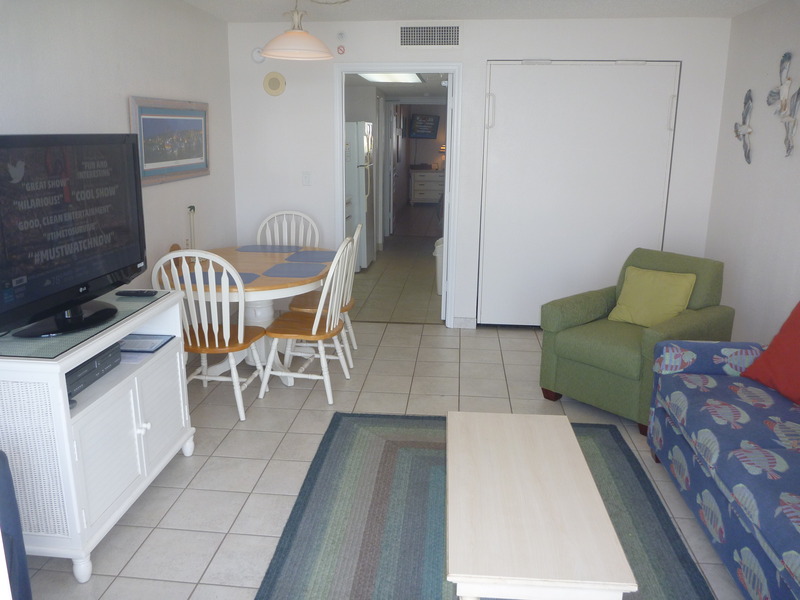 Living room has double-size Murphy Bed, Double Sleeper sofa, 42′ TV w/combo DVD/VHS & HBO, comfortable seating for 5 & dining area has seating for 6. Bathroom has Jacuzzi Tub/Shower, blow dryer & lots of shelves. 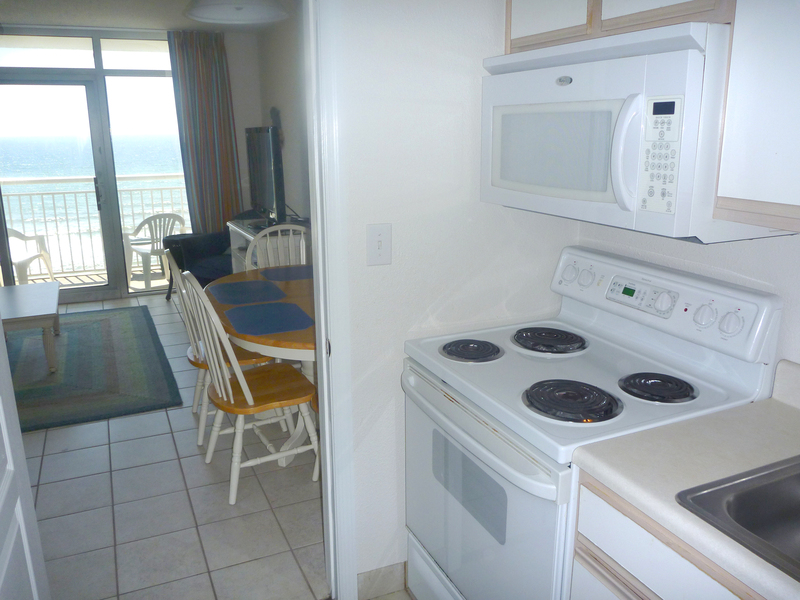 Kitchen is fully stocked for cooking, Microwave, Range, Blender, Toaster, Coffeemaker. Privately owned but professionally managed, we visit at least once a year to keep things in great shape. Wireless Internet. Close to golf courses too!